The shop can also be open at other times, by appointment. answering machine at 214-320-YARN (-9276). We moved our shop in 2015 - SEE BELOW! Losa Dr. is parallel to Garland Rd. (Hwy. 78) and it intersects Buckner Blvd. (Loop 12). 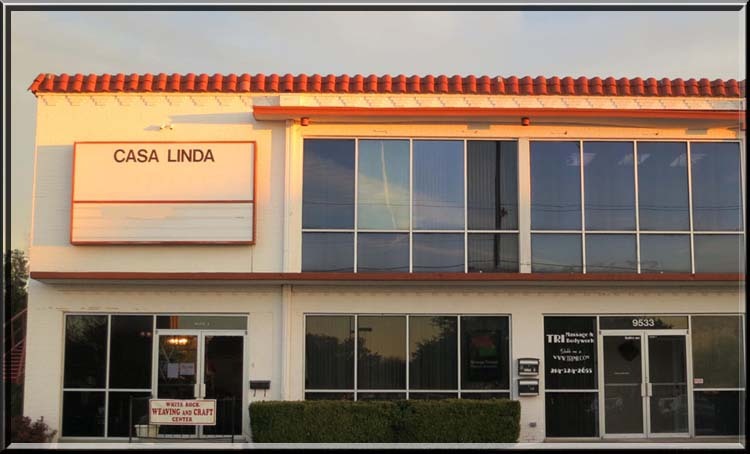 Losa Dr. runs behind Chili's and behind Highland Park Cafeteria in Casa Linda Plaza. and it faces the Highland Park Cafeteria. We will keep the same name, the same telephone number, the same website. We'll look forward to showing you our new White Rock Weaving Center!